Everywhere we look today, there are definite signs that we are living in the end of the ages. It is more likely than not that you and I will see Jesus return in our lifetime. There does seem, however, to be quite a bit of confusion in regard to His second coming and the Rapture of the Church. Many Christians and preachers often confound the two, making them as appear one and the same. They are not. Just like you and I, the disciples were also curious about future events. Who doesn’t want to know what’s going to happen, right? 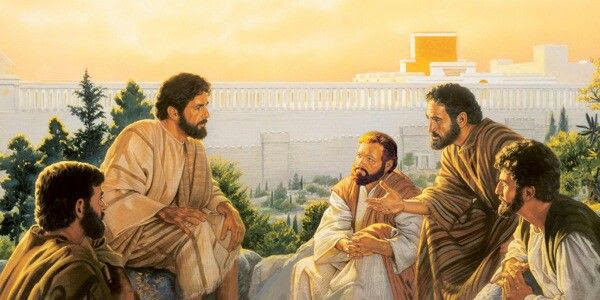 Well, in this chapter of Matthew 24, Jesus gave the longest and most detailed answer to any other questions recorded, after He described what was going to happen to the temple Herod built for them. And just as He said, 40 years after He ascended back to His Father, it was demolished. The Romans came in and destroyed it in 70 AD and not one stone was left upon another. To this day, all that is left is the western wall, which was not a part of the actual temple. #1, When will these things be? #2, What will be the sign of Your coming? And, #3, What will be the sign of the end of the age? All three are referring to His 2nd coming, not the Rapture, about which they knew nothing. The rapture is a mystery that was only revealed to the Apostle Paul, though Jesus hinted about it in the upper room. The first thing they wanted to know was when Jesus would return to set up His earthly kingdom. They asked, “When will these things be?” referring to the events that Jesus mentioned about the destruction of the temple. The other two questions were about His second coming, which will happen after the seven years of tribulation. Two Phases Of His Cominig. At the end of the tribulation, He will return WITH HIS CHURCH to rescue Israel before she is annihilated by the nations of the world. That is the one EVERY EYE will see! There will be NO DOUBT that He has returned. These are two very different and very distinctive events. Don’t get them mixed up. It should put your mind at ease to know that Matthew 24 is not written TO or ABOUT the Church. It is about Israel and the Jewish believers who will be on earth AFTER THE RAPTURE, during the Tribulation. This seven year period is also called, “The time of Jacob’s trouble.” The Rapture will have already taken place (thank God) and the Church, comprised of saved Gentiles and Jews, will be in heaven. Only after we are out of here can judgment fall. Quite literally, all hell will break loose because the Restrainer, the Holy Spirit, will not be holding back the evil in the world. The Sun And The Morning Star. Our God LOVES to hide gems and wisdom in His word. In this verse from the last chapter of the last book of the New Testament, “Revelation,” Jesus calls Himself, “The Bright and Morning star.” In the very next verse He says, “The Spirit and the Bride say, ‘Come. '” This is an obvious reference to the Rapture of the Church. Of course, only Christians will be raptured and unbelievers will be left behind to endure the Tribulation. Tell me: What do you see first: The Sun, or the Morning star? The Morning Star, of course! It shows up somewhere around 3 to 4 o’clock, BEFORE THE SUN RISES. 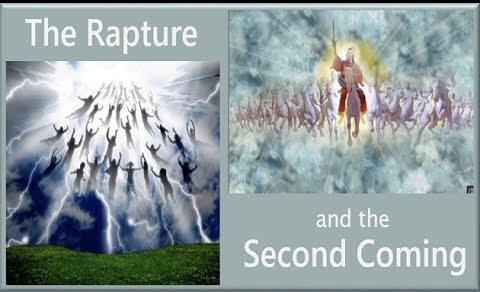 Now tell me, Church: Which happens first: The Rapture or the Second Coming? The Rapture, of course! The reference in Revelation is about the Church, while the reference in Malachi is about the Jewish people who will be on earth during the last seven years. Jesus’ admonition to us today is, “Let not your heart be troubled.” Considering all that is going on, it sure is a tall order these days. This is the darkest and most dangerous of times to be alive. Lawlessness, violence, and destruction are all around us. Every day in the news you hear of more and more acts of terror, credible threats of nuclear attack, cyber attacks, and all kinds of threats to our way of life. In the wake of all that chaos, how can you and I do what Jesus asks? 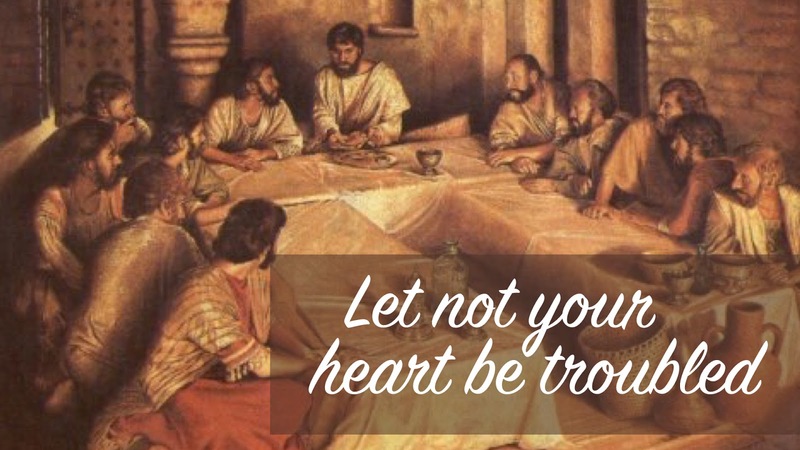 How can we “Let not” our hearts be troubled? How can we be at rest? Jesus Himself gives us the answer. This is the key to having a heart that is not troubled. He said, “I will come again and receive you to Myself.” This is a reference to the Rapture. He will come and receive us to Himself that where He is, we may be also……in our MANSIONS (not huts) in the sky! This is the knowledge causes our hearts not to be troubled. The Rapture is nothing more than us receiving our new immortal and incorruptible bodies; and we will be with Him forever! Our new bodies will never get sick or bored or tired, and there will be NO MORE DEATH! Did you catch that? We do not teach people how to live godly lives: We teach grace. Grace teaches people how to live right. 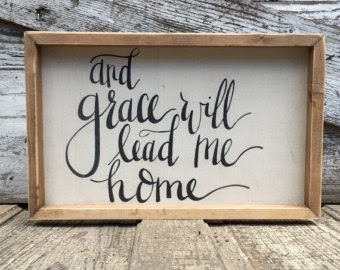 The most important part of that grace teaching is reminding our people to look for the blessed hope, which is the glorious appearing of our Great God and Savior Jesus Christ. THIS APPEARING IS THE RAPTURE! The implication here is that failing to teach about the blessed hope, The Rapture, causes people to lose hope. Why? Because they cling more tightly to the things of this world and tend to forsake reaching the lost. Those who are robbed of this blessed hope worry about what is going to happen. They worry about what they hear on the news, they are afraid for their families. They worry about their finances, and so on. But of all the generations that have come on this earth, ours is the one that saw Israel come back as a nation. We have seen many prophecies from ages past happen right before our eyes. More than any other, we are the generation most likely to not see death but to be instantly changed and join our Lord in the clouds! That is GOOD NEWS!!! That is reason to hope, not to be hopeless. Pastors are concerned that their people live holy lives in the meantime, understandably. But how best to do that? Many go about it by teaching do’s and don’ts; you know, “Law.” Jesus has a better idea! That is righteousness to God. The Church Is Not Going Through The Tribuation. Paul, in writing to the Church at Thessalonica, explained in more detail about the Rapture to reassure the people that they would not be going through that terrible time. This is one of many comforting words in scripture that the Church will be in heaven during that time. Church, you just read that we are not appointed to wrath. Jesus paid for us! He took it ALL in our stead! That gives rest, peace, and assurance to our hearts. “Looking for the blessed hope,” helps us “Let not” our hearts be troubled. When did Ruth come? “At midnight.” She lay down at the feet of Boaz. The threshing floor is a depiction of the judgement that will rain down on the earth, and the Church will Be AT HIS FEET. During those seven years, everyone who did not accept Jesus as their Savior, those who are “Professing Christians,” not “Possessing Christians,” everyone who has broken His covenant, who has come against Israel to destroy her, and/or persecuted the Church, will all be the focus of God’s wrath during that time. But if you’re a believer, you only need to be “Alive and remain,” and you’re going up, even if you don’t agree with me that there is a rapture. We can discuss it on the way up. Regardless of how faithful you have or haven’t been, no matter what your position in the Church may be, or how many degrees you have, if you know Jesus, YOU ARE GOING UP! THEREFORE…..comfort one another with these words, and Let not your heart be Troubled. Thank you so much for God’s words that enlighten my heart. I hope God will continue to use you to spread the good news everywhere. Thank you for the assurance about the rapture. It has been an unclear subject and so misunderstood by many. Again, thank you. You’re so welcome! That’s why I write: To give hope, encouragement, and comfort to my fellow believers. Thank you very much sir. God bless you more and more. You’re very welcome, and it’s, “Ma’am,” not Sir, LOL! 😉 Glad you are blessed! ← Victory Is A Person!